Don't you just hate it when the first song on an album is not only its highlight, but every song which follows disappoints? 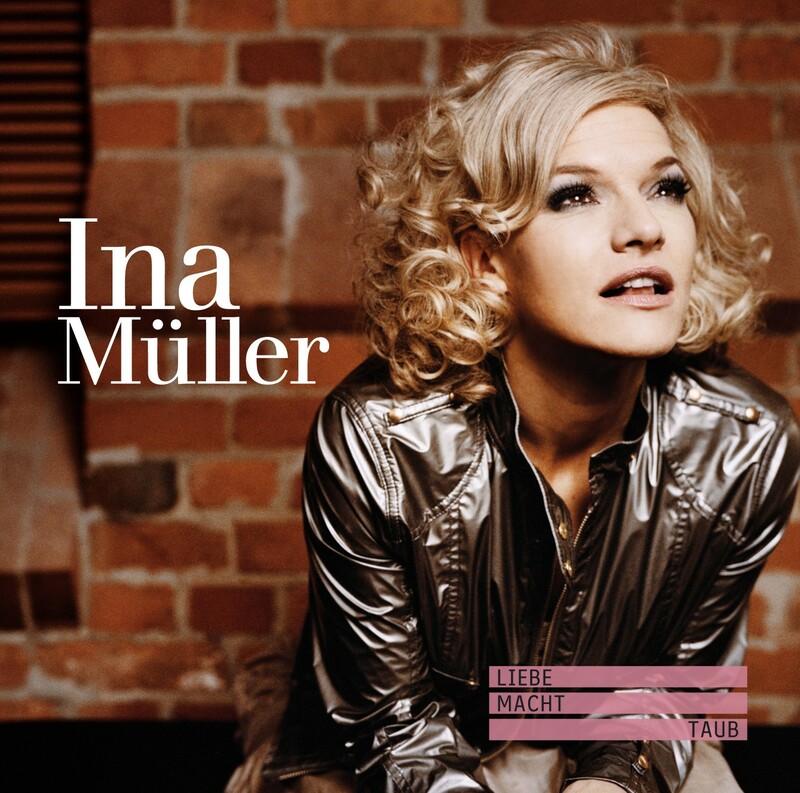 That's the case on LIEBE MACHT TAUB ("Love Makes Deaf"), Ina Müller's follow-up to her Gold-winning album WEIBLICH LEDIG 40. The opening song is what the record could have been -- the story of a friendship between two women, told in retrospect, both fun and melancholy, and with a witty chorus where time is measured by the number of relationships they've had: "That was three men ago." Unfortunately, the rest of the album isn't as exciting: While the production tries really hard to make its guitar-based radio pop interesting, with stylistic appropriations of country ("Mark") and rockabilly ("Zurück in Muttis Bauch"), with '60s easy listening flutes ("Maxi-Cosi") and psychedelic keyboard effects (the title song), the fact remains that if you took away the lyrics, nobody would want to listen to the background music anyway. Lyrically, Müller switches between somewhat ironic songs and sincere ballads, and the transition is a bit awkward at times. The more lighthearted songs are funny and feature a couple of witty lines, even though complaining about small talk at parties isn't a terribly original notion, and Müller doesn't find anything terribly original to say about it, either. On "Zurück in Muttis Bauch," a song about a mid-life crisis, the fun is somewhat diminished by the fact that she addresses the man, telling him "I used to enjoy meeting you" -- which gives her the same slightly arrogant edge her approach in "Smalltalk" does. Some of her lines are quotable, also on the love songs -- "You don't need a reason to leave when you don't have one to stay," on "Der Grund" ("The Reason") -- but of course, a few good lines don't make a good song. LIEBE MACHT TAUB is a competent pop album, but it's not nearly as deep as it thinks it is -- which means that if you're looking for enjoyable, radio-friendly guitar pop of no great consequence, you could do much worse. This review was written for the All-Music Guide on August 5, 2008.